The Huntington law firm of Jenkins Fenstermaker, PLLC, has been representing West Virginia clients for more than 75 years. Many of the firm's attorneys are members of the American Bar Association in addition to being members of the West Virginia State Bar and the West Virginia and Cabell County Bar Associations. The lawyers from Jenkins Fenstermaker focus on personalized representation. Clients of Jenkins Fenstermaker appreciate the firm's ability to handle large complex legal matters while retaining a commitment to personalized service for each client's individualized needs. The attorneys of Jenkins Fenstermaker, PLLC, represent individuals, local businesses and large corporations in business, commercial, labor and employment issues and litigation. The business and commercial section of the firm represents public and private corporations, family businesses, limited liability companies, limited partnerships and nonprofit entities, handling issues that include organization and entity selection, general counsel for businesses of all types and sizes, contract negotiation, drafting and review, business expansion and relocation, business disputes and litigation, regulatory compliance, dissolutions and many other legal matters. This section of the firm also handles banking and commercial finance, commercial land use and real estate, and issues involving creditors' rights. The labor and employment section of Jenkins Fenstermaker, PLLC, offers negotiation and counsel services as well as workers’ compensation representation. The lawyers of the firm provide invaluable legal counsel to companies regarding labor management issues, strikes, terminations of employment and compliance. This section of the firm also represents insurance companies, businesses and individuals for workers’ compensation defense. The litigation section of Jenkins Fenstermaker, PLLC, provides exceptional litigation services for issues that include personal injury, commercial disputes, products liability, toxic torts, insurance coverage and medical malpractice defense. 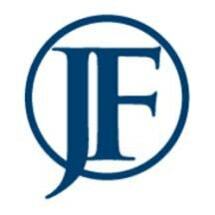 The attorneys of Jenkins Fenstermaker, PLLC, focus on mediation and other methods of alternative dispute resolution (ADR) to solve clients' cases efficiently and amicably whenever possible; they are also trained and effective litigators who can win their clients' cases at trial when trial becomes necessary.